Albany, NY - November 14, 2017 - Governor Andrew M. Cuomo today announced $12 million to enhance energy efficiency in industrial and multifamily buildings. This expands the Real Time Energy Management initiative launched last year to improve efficiency in commercial buildings, including office buildings, hotels, universities, hospitals and retail stores. Real Time Energy Management Systems continuously monitor real-time data of a building's energy use and transform it into actionable information, by using sensors, meters, and other equipment. The data can pinpoint a building's operational inefficiencies to help identify conservation measures and help justify capital improvements. About 60 percent of greenhouse gas emissions in New York come from buildings. "By deploying cutting-edge clean energy technology and software, this program helps business owners improve efficiency, reduce costs and help us combat climate change," Governor Cuomo said. "Across New York, we are investing in state-of-the-art clean energy solutions to create a greener, more sustainable future for all." By reducing energy use in commercial buildings, multifamily and industrial buildings, this program advances Governor Cuomo's efforts to reduce greenhouse gas emissions 40 percent by 2030 and the Reforming the Energy Vision strategy to build a clean, resilient and affordable energy system for all New Yorkers. This program also complements Governor Cuomo's announcement last month of $59 million in funding through the Weatherization Assistance Program to support energy efficiency and cut costs for approximately 9,200 income-eligible families and seniors across the state. New York State Chairman of Energy and Finance Richard Kauffman said, "Under Governor Cuomo, we are helping building owners and managers in tackling climate change while bringing greater cost savings for New Yorkers with emissions reductions. This advances the State's ambitious energy strategy directly into buildings - one of our biggest challenges for a cleaner environment." Alicia Barton, President and CEO, NYSERDA, said, "New York's building owners and managers will play a crucial role in contributing to the State's efforts to reduce emissions in its building sector. The RTEM program has already shown its value in the commercial sector in using energy more efficiently and reducing costs. This expanded offering is the next logical step in the State's efforts, under Governor Cuomo's leadership, to bring its benefits to other types of buildings." $6 million for commercial RTEM projects that include cloud-based controls. More information on RTEM funding is available at NYSERDA's website. NYSERDA offers a project cost share of 30 percent to support both the installation of Real Time Energy Management systems that use comprehensive data monitoring and analytics to identify when, where, and how energy is used in a building, as well as ongoing RTEM consulting services to conduct in-depth analysis of energy usage data that helps guide customers' operational and capital improvement decisions. As a result, NYSERDA expects that energy-efficient practices will be started as soon as facility managers are able to implement best practices to maximize building performance and reduce energy expenditures. Early estimates by NYSERDA suggest that RTEM projects save more than 5 percent on building energy costs, as well as reduce maintenance costs, improve building occupant comfort and increase operational reliability. The RTEM program is funded through the State's Clean Energy Fund, a 10-year, $5.3 billion program to support clean energy market development and innovation and a major component of REV. 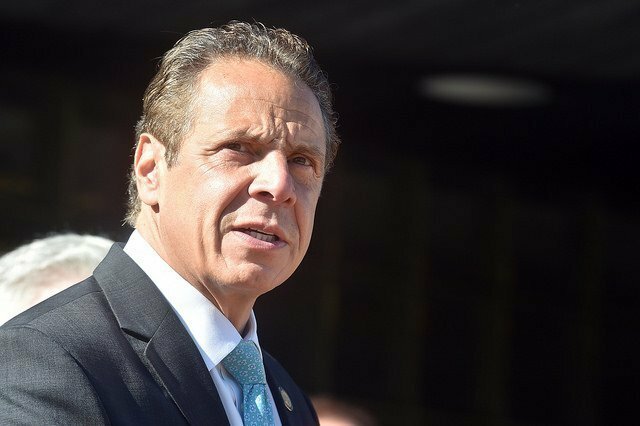 Subject: LongIsland.com - Your Name sent you Article details of "Governor Cuomo Announces $12 Million To Increase Energy Efficiency For Industrial And Multifamily Buildings"